Sneaking through the night as it were, and into the mailbox, or actually through the day in the letter carrier’s cart except that the former sounds so much more appropriate, my copy of TECHNO-GOTH CTHULHU (cf. April 28, et al.) has arrived. And what a book it is, complete with illustrations for many of the stories, including my own, “Ghost Ship,” in the number tw o position in the contents! 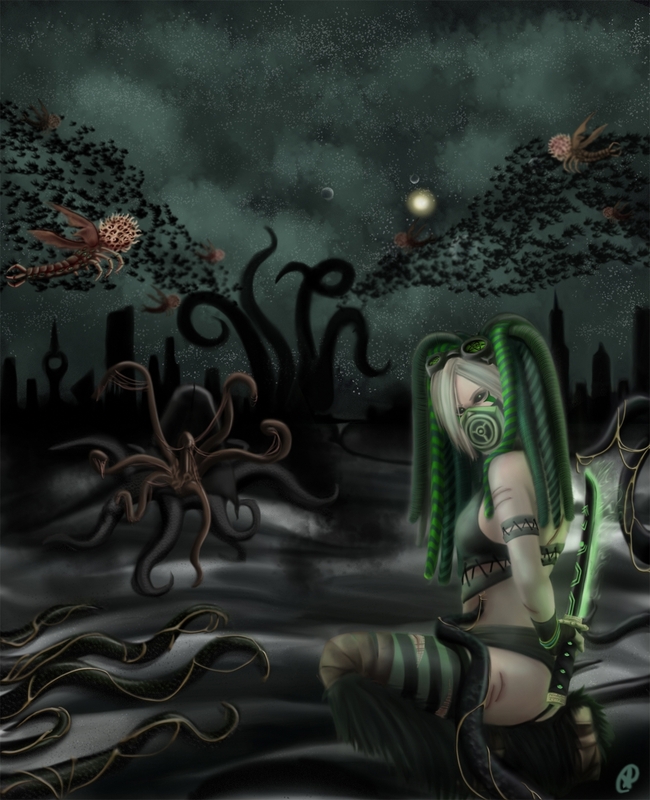 In all, TECHNO-GOTH CTHULHU consists of eleven short stories and a concluding novelette with such enticing titles as “The Dark Net,” “False Awakenings,” “The Avenue of Blades,” “Meditation on a Dead World,” “Whispers of the Ruling Class,” the list goes on. I’m behind on my reading myself, what with going over proofs, contracts, submissions, etc., in what’s been a very busy end of April and start of this month, but I’m looking forward to having a chance to get into this one. For ordering information (Createspace, Amazon, and Amazon UK), see the April 28 post noted above which also includes links. Edited by Mark Crittenden, TECHNO-GOTH CTHULHU is published by Red Skies Press. And actually, despite sneakings through nights, the book has arrived in the midst of a beautiful, sun-filled day!